“Nacho’s” is an original Texas Mexican (not Tex-Mex) dish that was created by culinarian, Ignacio (nickname Nacho) Anaya, in Piedras Negras, just south of the river from Eagle Pass,Texas. It is a thoughtful, beautifully balanced combination of just three ingredients. It is elegant because it is simple. 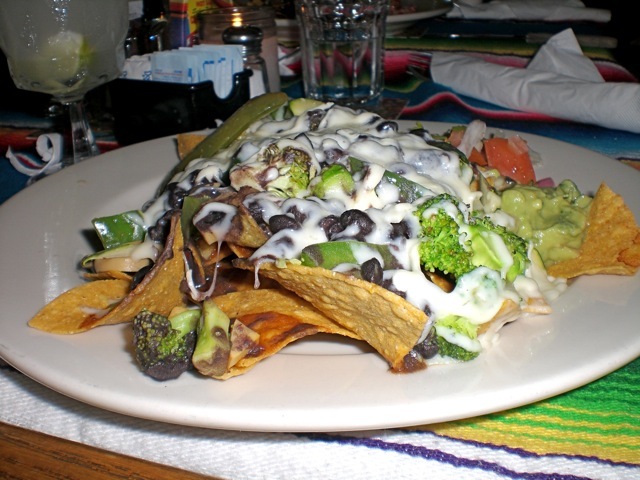 The original “Nacho’s” was created by a culinarian who grew up with Texas Mexican food. There are many stories written by journalists who minimize or completely discount Mr. Anaya’s culinary skill and imagination. One of the most egregious put downs of Mr. Anaya is by the Huffington Post which in a 2012 news story affirms: “the nacho was born, with a missing chef to thank for it.” The story further states that nachos “were created for an American palate.” Not likely. In the Huffington Post’s poorly researched story, the writer focuses on a group of Anglo women who entered a restaurant needing a snack, but arrived at a time when the restaurant chef was out. Caught in a pickle, the maître d’, Mr. Anaya, took it upon himself to assemble the chips with cheese and jalapeño. The story recounts that the ladies loved the new creation, concocted in a rare moment of necessity, thanks to a missing chef. Actually, the thanks go to Mr. Anaya. According to Dr. Mario Montaño, food anthropologist and the leading scholar and expert on Texas Mexican food, the creation of Nacho’s by Mr. Anaya is best understood as one chapter in a long line of culinary creativity and invention by the Mexican American community of Texas. Dr. Montaño knew Mr. Anaya and interviewed also his son and friends. Montaño’s research sheds light on the historical context and helps us understand what really happened in the story about Nacho’s. Ignacio Anaya was born in 1895 and passed away in 1975. He became an orphan when very young. 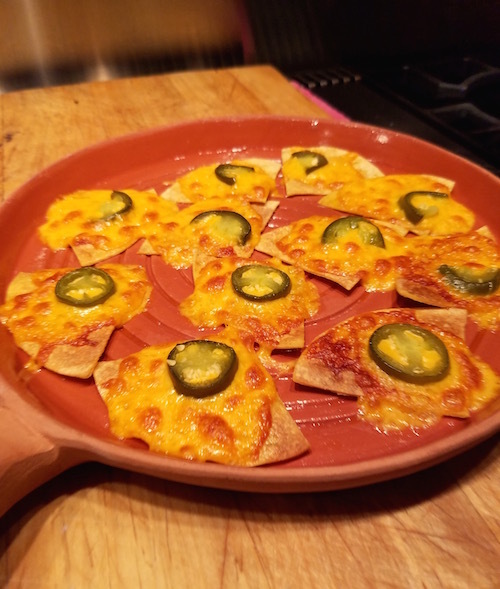 Anaya recalls that “this woman who raised me used to feed me quesadillas.” That delicious quesadilla taste, tortillas with melted cheese, was the memory and experience that eventually guided Anaya, to concoct nachos, adding the jalapeño for an adult bite. All chefs face necessity in the kitchen daily, and invention happens all the time. In this instance, it was Anaya’s understanding of the Texas Mexican flavor profile that led him to this new and tasty combination. 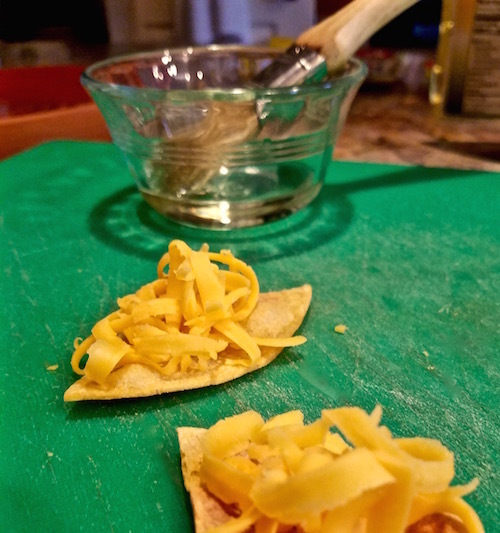 Of course the ladies loved it, what’s not to like about a beautifully crispy corn wafer topped with melted Longhorn cheese and garnished with a thin slice of pickled Jalapeño for a briny, zesty finish. According to Anaya, there were four ladies, and they’d been drinking when they asked him for a snack. When they commented on how tasty it was, they also asked, “what do you call them?” Anaya (Nacho) took responsibility for his creation and replied, “Nacho’s especial” (Nacho’s Special). Today the apostrophe is gone, and largely too is the historical link and credit to Ignacio. “They’ve got them as far away as Chicago and Saudi Arabia,” Anaya once exclaimed. He could’ve included London, Tokyo and Mumbai. Enter Frank Liberto, grandson of an Italian immigrant family who settled in San Antonio. Seeing the great restaurant success of nachos, Frank wanted to mass produce it and sell it at sporting events, like hot dogs. So he found a way to twist it and transform it into a fast food. He made three changes. First, Instead of working with individual tortilla trangles, he just threw them into a pile. Then, instead of depending on heat to keep the cheese melted, he added emulsifiers and other chemicals to the cheese, that also promoted a longer shelf life. He called it “cheese sauce.” And finally, he used a pump to quickly smother the pile of chips, after which it’s just a matter of scattering jalapeno slices on top. He started selling the chip piles in 1976 at a Texas Rangers baseball game in Arlington, Texas. They were an instant success! Today these chips with “nacho cheese” and sliced jalapeños are the favorite snack of many a sports fan. My preference is to call these inventive snacks “chips with cheese sauce” and keep the name, “Nachos,” for the little crisped wafers. However, I don’t think that will ever happen. 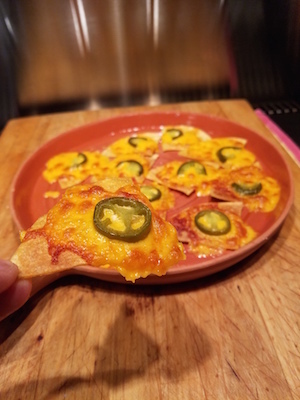 Nachos have been twisted and turned every which way. Here’s “Everything but the kitchen sink” nachos. 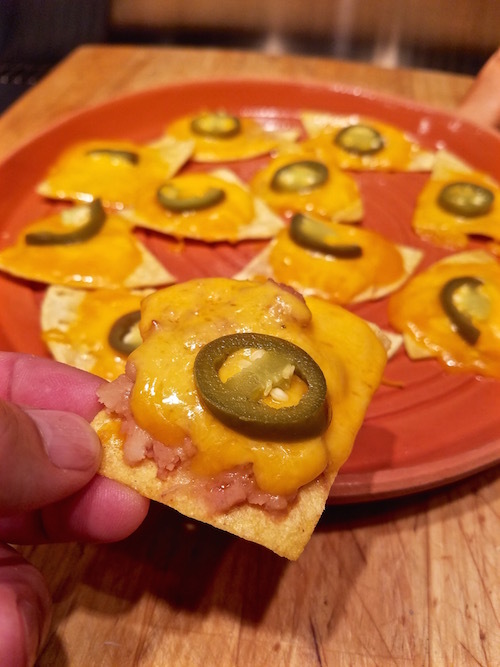 Restaurants have taken the term nachos to new, sometimes odd, places like Sushi Nachos, Shrimp Nachos and, of course, “Everything but the kitchen sink” nachos. Thankfully, the classic Texas Mexican restaurants continue to serve the original nachos, while still exploring and devising new, delicious twists. I like the ones with a layer of beans, like the ones served at San Antonio’s Mi Tierra and Los Barrios and at Austin’s, Matt’s El Rancho. Absolutely delicious. Right now I’m eager to make a big batch of nachos. In this recipe, I reduce the amount of fat by baking the chips with just a brush of oil, instead of frying them. Makes 12 wafers. Recipe is adapted from a 1969 interview with Ignacio Anaya. 1. Brush the oil on both sides of each tortilla, cut each into quarters, and bake them in a 350ºF oven for 15 to 20 minutes. They will turn a darker brown, but do not let them burn. 2. Shred the cheese and distribute it among the tortilla triangles. Place a slice of Jalapeño on each. 3. Bake the triangles in a 350ºF oven for about 5 minutes until the cheese is bubbly. Alternately, you can place them under the broiler for a minute or so. Keep a close watch so that they do not burn. I love these, and hope you do, too. Thank you, Ignacio “Nacho” Anaya. If you’d like to read more about the history of the native tribes of Texas from whom we’ve learned this culinary style, try the first two chapters of my book: “Truly Texas Mexican: A Native Culinary Heritage In Recipes.” The recipes in the book also have notes on the history of the food ingredients and techniques. Hope you like it. You’ve made this distinction before; although, I have an idea, I’m still not sure I know exactly what you mean by it. Have you discussed this distinction somewhere in your blog or elsewhere? If so, I’d like to read it.